I’m delighted to be involved in the Asian Resource Centre‘s International Women’s Day celebrations on 17 March 2016. The event is taking place at Haslemere Hall and there’s a fantastic lineup of events. I’m scheduled to be talking about Bhopal: Facing 30 at 15:10, and I’ll have some images and information about the project on display. International Women’s Day Celebrations, Haslemere Hall, 2A Haslemere Road, Thornton Heath, CR7 7BE. Thursday 17 March 2016, 13:00 – 17:00. I’m glad to have teamed up with the Bhopal Medical Appeal to bring you a one-off screening of the acclaimed feature documentary ‘Bhopali’ by award winning director Van Maximilian Carlson about the communities surrounding Carbide’s abandoned pesticides factory, site of the infamous 1984 gas disaster in Bhopal, India. Set against a backdrop of high stakes activism, global politics, human rights advocacy and vehement protests during the 25th anniversary of the tragedy, the film reveals an inspiring community of survivors proving to be anything but victims. Featuring Noam Chomsky, Satinath Sarangi, and attorney Rajan Sharma. Join us for a special screening followed by a live Q&A and panel discussion. I’ll be joining Tim Edwards, trustee of UK charity the Bhopal Medical Appeal, to discuss the current situation in Bhopal, the fight for justice and my Arts Council England funded project Bhopal: Facing 30 that was recently exhibited at Photofusion Gallery in Brixton, and includes a portrait series of the Bhopal disaster’s resilient survivors. For more information and tickets, please see the Ritzy Picturehouse website. After the exhibition at Jehangir Art Gallery, Mumbai, that attracted around 2000 visitors in only one week, it was great to return to Bhopal. 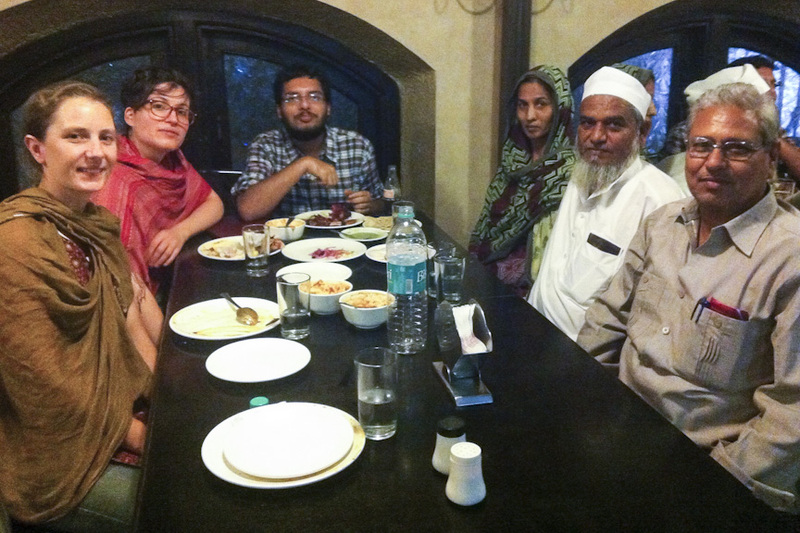 Before the Bhopalis left Mumbai, we took them out to India Gate and then to a great little Moghul restaurant in Colaba, recommended by our good friend Suraj who also joined us. 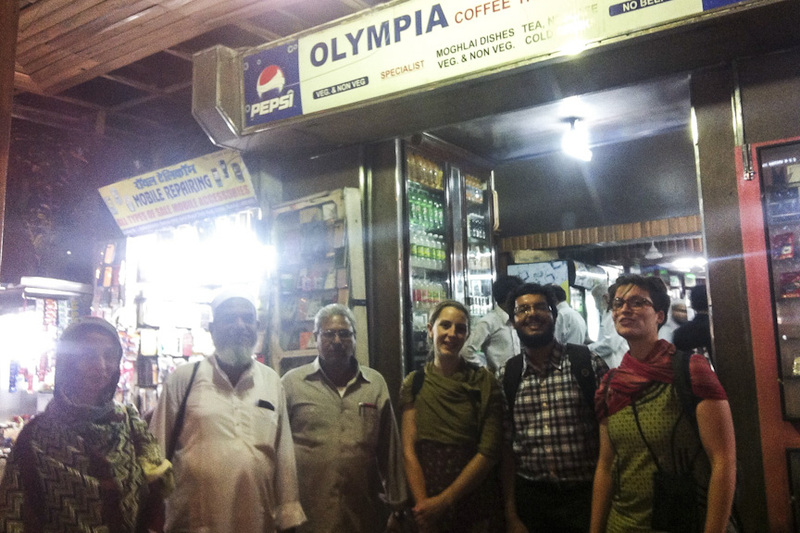 A few days later, after the exhibition was packed up, we followed on the same train journey back to Bhopal. 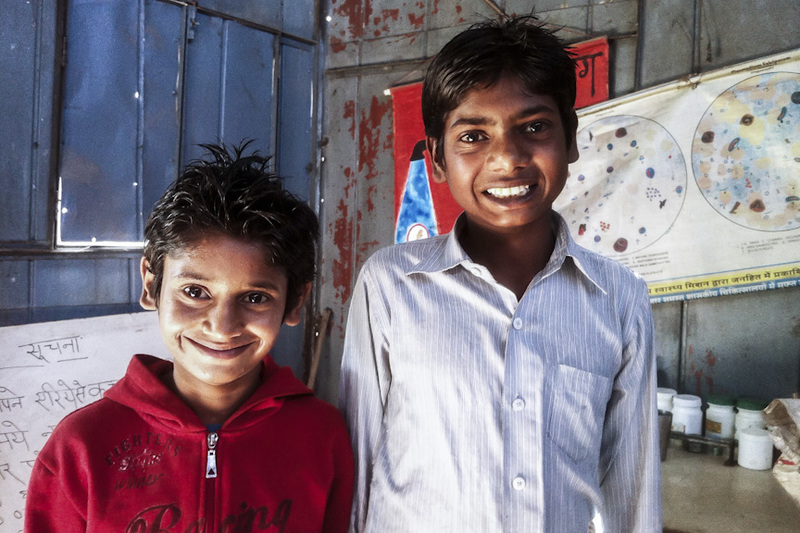 It was so great to be back, after nearly two years since taking the Bhopal: Facing 30 portraits. Very emotional indeed. Funny to hear that people are still calling the Nawab Clinic the ‘Nawab Studio’. 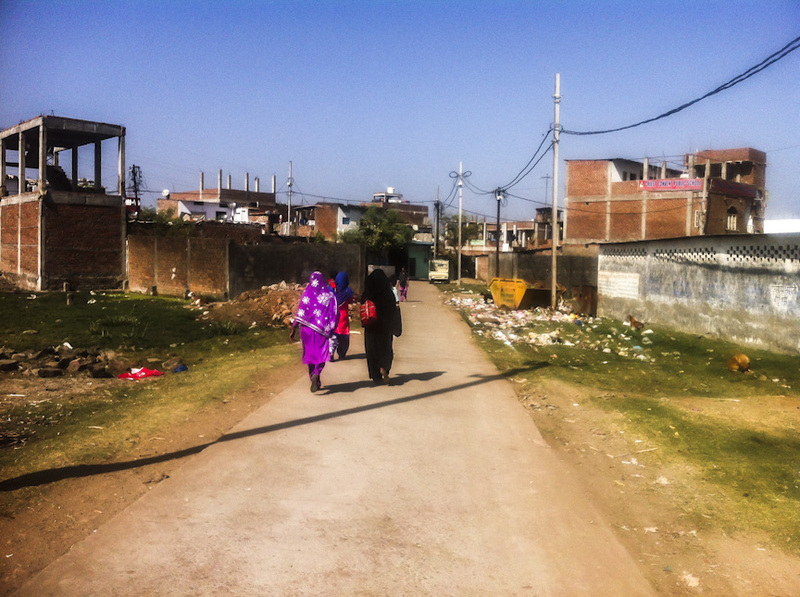 We spent most of our time in the community visiting people, as well as planning a new collaboration with Sambhavna, and as such this is a picture-heavy post. It was very sad to leave, but we know we’ll be back soon. 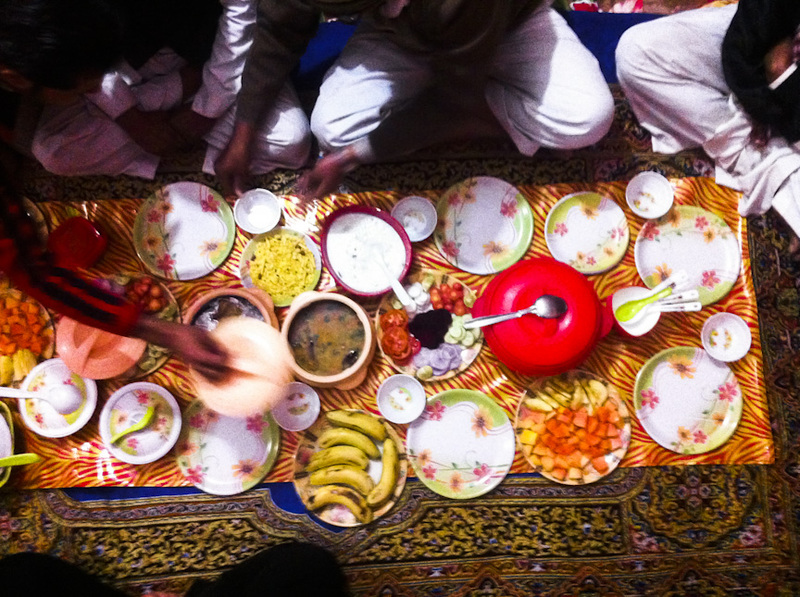 And before we were sent on our again, we were treated to one hell of a scrumptious feast at Iqbal Bhai’s house. As Deven so wisely said as he put us back on the bus to Mumbai, “I won’t miss you, I will wait”. Wish I could agree, but I think I will definitely miss everyone. It was wonderful to welcome Iqbal Khan, Mohammad Shafiq and Nusrat Jahan – three campaigning Bhopal disaster survivors – to the Jehangir Art Gallery on Thursday, and thanks to each of them for making the long journey to be there. 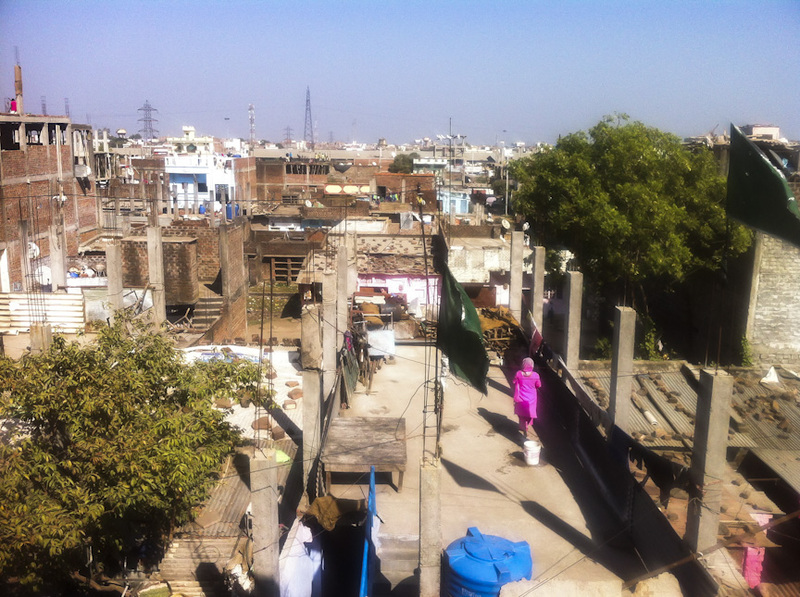 We have had many visitors to the gallery, and being in a prime location we are able to engage hundreds of people a day with the issues of Bhopal. Iqbal, Shafiq and Nusrat are just few of the many hundreds and thousands of people still fighting for justice; to have the place they live in cleaned up from the toxic chemical waste that Union Carbide have polluted their homes with, and Dow Chemical are still now polluting, and they deserve all the support they can get to make their voices heard. It was such an honour to have them in the gallery for two days – so thanks to Sathyu Sarangi (Sambhavna Trust Clinic, Managing Trustee) and Vivek Sundara (a long-time campaigner for Bhopal) for making that happen too. We have captured some video footage of the event, and that will be edited shortly, but for now we will concentrate on raising awareness until the Jehangir exhibition closes 8 December. Until then, we are open 11am – 7pm daily. Thanks to everyone that has come to the exhibition so far, and if you haven’t made it yet please do come along. As my Bhopal: Facing 30 exhibition at Photofusion Gallery, London, draws to a close this week, I’m really pleased to be in Mumbai preparing for the launch of another new exhibition. Bhopal: Facing 30 premiers in India at the prestigeous Jehangir Art Gallery, Mumbai, from 2 – 8 December 2015. The launch of this inaugural Indian exhibition will be celebrated on 3 December 2015 with some of the disaster survivors in attendance. One survivor, Iqbal Khan, says ‘I have never known of workers and poor class people being photographed like Royals as Francesca did. We treat the colour picture she gave us as a family treasure.’ I look forward to welcoming Iqbal, and Shafiq and Nusrat Jahan, to the exhibition. Please join us at the launch event at Jehangir Art Gallery on Thursday 3 December from 16:00 – 19:00. This exhibition will feature an installation of the Union Carbide wall, built to contain the disaster site, juxtaposed with the formal family portraits of the families who reside around it. During the event, we will be commemorating the world’s worst industrial disaster in Bhopal, India, that took place on the 2/3 December 1984. To find out more about the disaster, and the work of project supporter the Bhopal Medical Appeal, please see www.bhopal.org. For those of you who won’t be able to make it, but have friends and family that may be interested in the exhibition, please do spread the word. 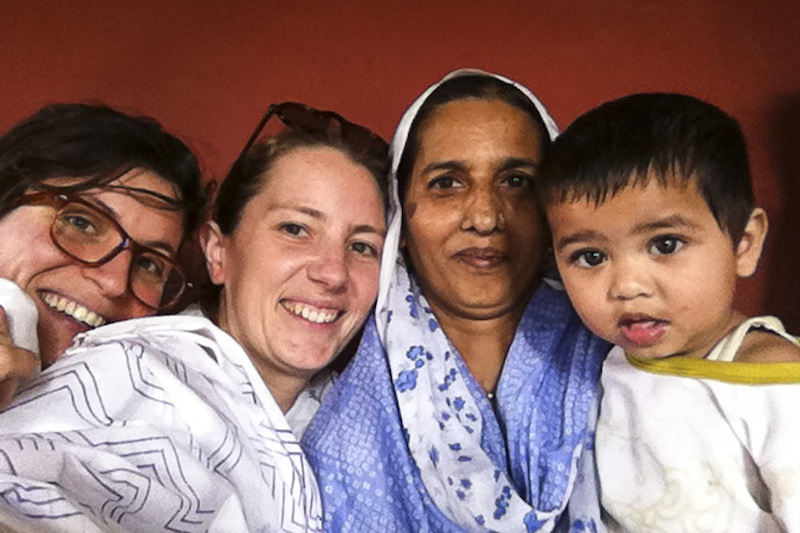 We will be filming the event on 3 December, and this recording will be published on the dedicated Bhopal: Facing 30 project blog, shortly after the event. I’m really looking forward to a conversation with Martin Barnes, Curator of Photographs, V&A Museum on Thursday. Join us to learn about the V&A’s extensive archive, the history of the V&A’s collection and it’s context to Bhopal: Facing 30’s formal portraits. 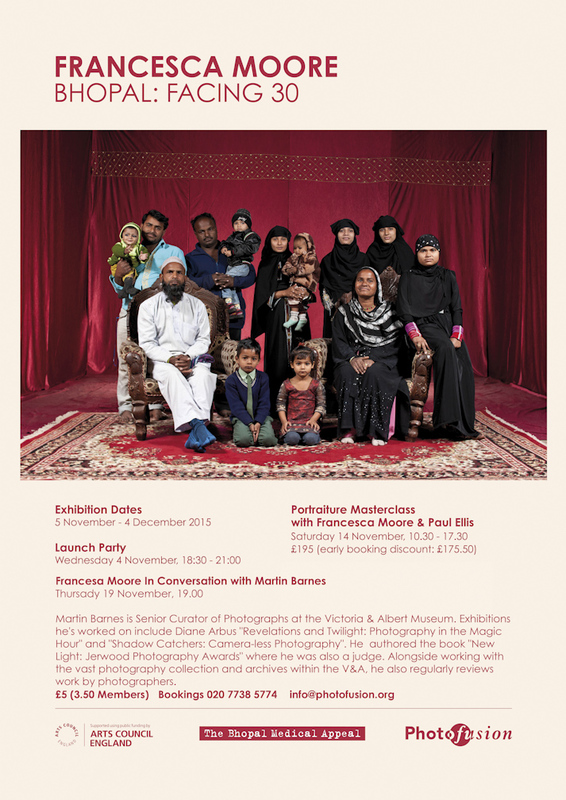 I’m delighted that my forthcoming exhibition will be opening at Photofusion Gallery, in Brixton, on 4 November 2015. You’re welcome to join me at the launch party, from 18:30 – 21:00. If you’d like to be added to my mailing list for the launch party invite and other news, please drop me an email, here. This exhibition will feature a full photographic panoramic of the Union Carbide wall, built to contain the disaster site, and will be shown here for the first time juxtaposed with the formal family portraits of the families who reside around it. This exhibition will be commemorating the world’s worst industrial disaster in Bhopal, India, that took place on the 2/3 December 1984. To find out more about the disaster, and the work of project supporter the Bhopal Medical Appeal, please see www.bhopal.org. 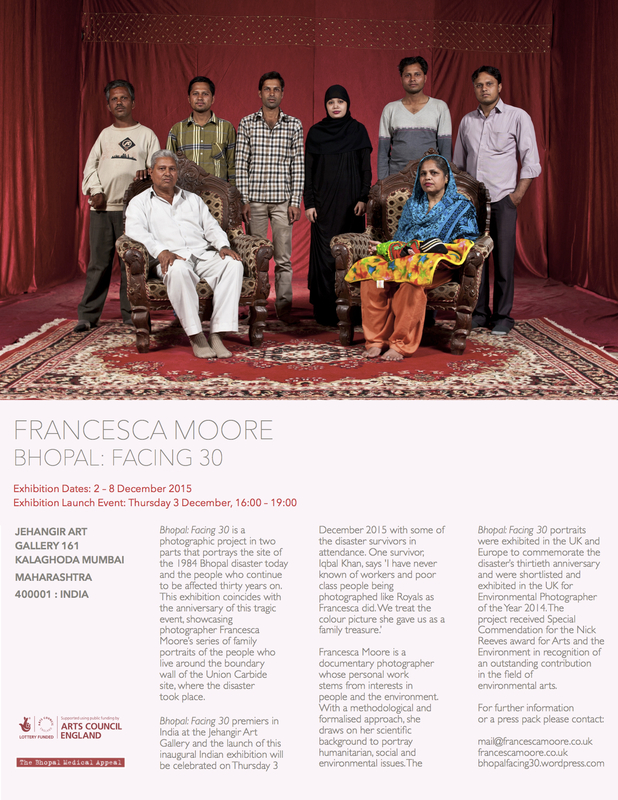 Whilst the blog has been quiet for recent months, I am now in the progress of planning further exhibitions and events for Bhopal: Facing 30 this coming November/December 2015. 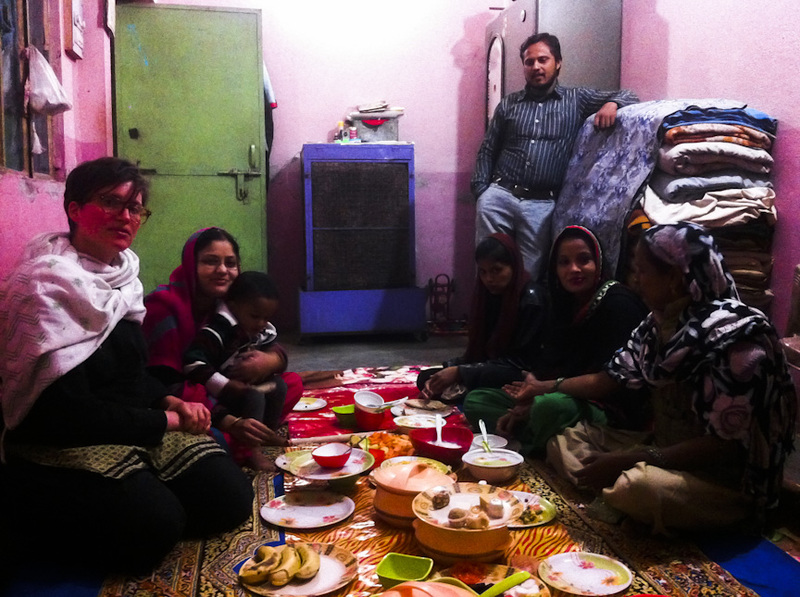 I found the project to be a huge success, both in terms of raising awareness among new audiences of the current issues faced by people in Bhopal, and also by meeting and exceeding the needs of my funder, Arts Council England. 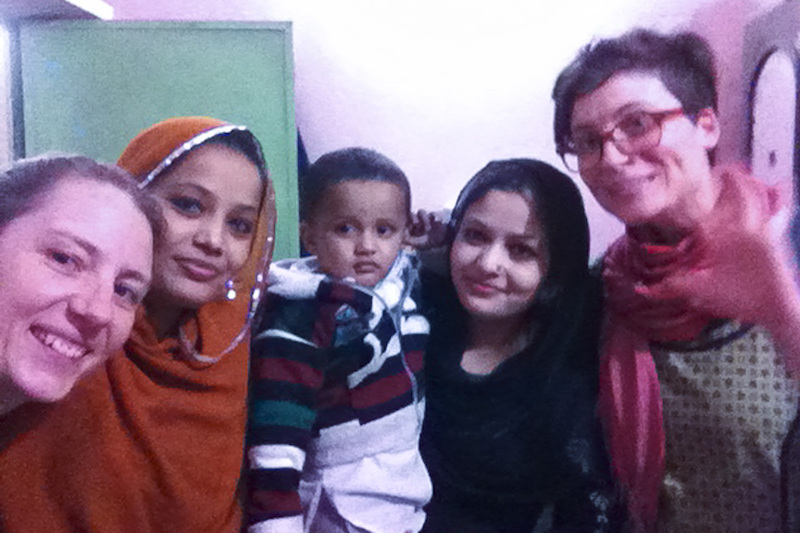 I would like to thank everyone again who made the project possible; especially all the people who sat for a portrait in Bhopal, Sathyu Sarangi, Sanjay Verma and Devendra Panchal and the dedicated team at the Sambhavna Trust Clinic, Bhopal, Colin Toogood and everyone at the Bhopal Medical Appeal, Brighton, and my project mentor Angad Kaur and the rest of the team at Photofusion, London. Of course a big thanks to Arts Council England and all of my project partners for making the project possible, my partner for helping with the project, and my friends and family for continued support and patience. And to everyone who took the time to come along to an event or exhibition, or even just take time to see this dedicated project blog, I appreciate you all! I have made a pledge to do something each year for Bhopal, and after ducking out of this Summer’s 10k Run for the BMA (due to a clash, honest!) my partner and I joined the 80-strong team of litter-pickers at Glastonbury Festival in June. We apparently cleared the area in front of the Pyramid Stage in record time and helped raise over £11,000 for the Bhopal Medical Appeal in order to help run the clinics in Bhopal. If you would like to be added to the mailing list for an invitation to the launch of either of these exhibitions, please contact me via the contact page or by emailing me at mail@francescamoore.co.uk. I have teamed up with the Bhopal Medical Appeal again, bringing you an exclusive screening of “Bhopal A Prayer For Rain”, a 2014 epic that, despite rave reviews, has not yet received UK distribution. 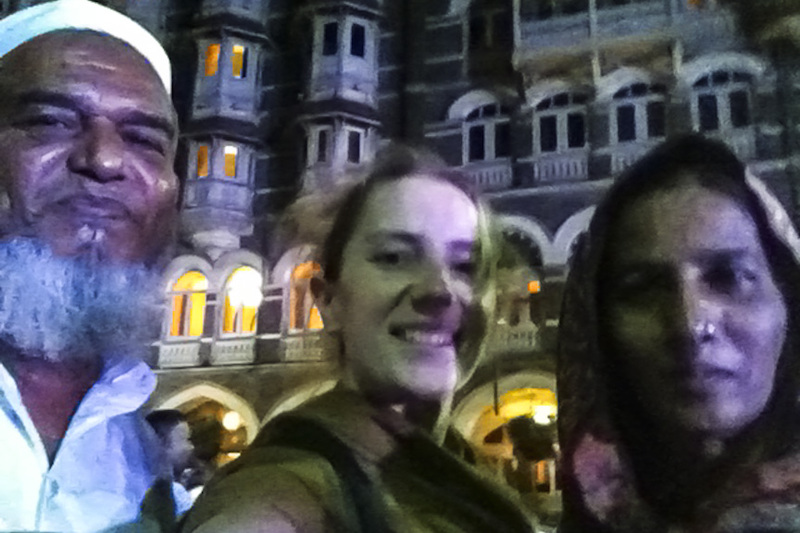 I am among the lucky few, and saw the film during one of my previous events at the Indian Film Festival, The Hague. I can assure you, it’s not to be missed. Starring Martin Sheen, Mischa Barton, Kal Penn and a powerful ensemble cast, “Bhopal A Prayer For Rain”, directed by Ravi Kumar, is an epic, ‘whodunnit’ that exposes the shocking events that led to the biggest man made industrial disaster in history. As many as 10,000 people were killed in one night and for those that did survive, the tragedy had just begun. This screening, hosted by the Bhopal Medical Appeal on Tuesday 27 January, will be preceded by a short talk about my recent Arts Council England funded project ‘Bhopal: Facing 30’. The Bhopal Medical Appeal is a Brighton based charity that campaigns and fundraises for the survivors of the Bhopal tragedy and victims of the ongoing disaster, and have been loyal supporters of Bhopal: Facing 30. My unreserved thanks to them, and to Fabrica, who have kindly supported this event. FREE ENTRY however spaces are limited. If you would like to attend, please send the names and email addresses of those that would like to be registered for the event to: mail@francescamoore.co.uk. I’m welcoming in the New Year with a write-up and some pictures of a recent exhibition and event organized by Chiara Panichi and her team of fellow Amnesty International (AI) Youth Activists in Bologna, Italy, at Galleria Portanova12 on 13 December 2014. Being officially invited to exhibit Bhopal: Facing 30 family portraits and to give the talk was a very welcome invitation considering we were unable to return to India for the anniversary events in Bhopal. The occasion was even more exciting when it was revealed from the head office in Rome that they had a Bhopal testimonial to join us… I had an inkling that the testimonial might be Sanjay Verma, who also happened to be our translator for the portraits in Bhopal, and it of course was. How wonderful to see him again and to have him at the exhibition! However, we nearly didn’t make to the event ourselves! Due to National Strikes in Italy on the 12th December, the day we were due to travel, our flights were cancelled and there were no other flights available before Sunday – the day after the event. Panic! Luckily, owing to Lorenza’s local knowledge and Chiara and Tina’s (Head Office, Rome) swift actions we found a last-minute flight to Nice, leaving a day earlier than scheduled. Fortunately I was on a job in London that was winding up early, so I just about managed to be at Gatwick to depart two hours later… And voila! We made it in time to hang the exhibition, thanks to the help Lorenza’s dad, who kindly collected us from La Spezia, the furthest point we could reach in Italy, by train, before the strikes began. The event itself was fabulous. Sanjay arrived in Bologna with Laura, an AI representative that he was touring Italy with, during the afternoon so we had plenty of time to catch up, see the show and make the final preparations. Once the event kicked off there must have been a hundred or so people, which is to the credit of Chiara and the team as well as Lorenza, as it’s her home town. After drinks and refreshments Sanjay and I delivered a talk; I talked about my project, Sanjay about his experiences in 1984, and his campaigning ever since. Our messages the same but our experiences so totally different. To hear him talk was captivating and stimulating, and resonated with my own feelings of Bhopal, and why I wanted to carry out this project. 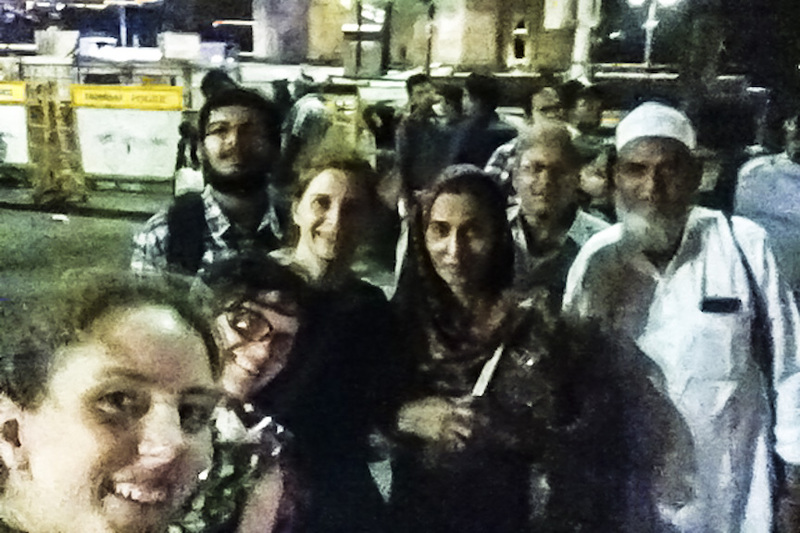 Of course, after that we rounded up the evening in true Italian style… by going out for an Indian! I’d like to thank everyone involved that made the event happen; Chiara Panichi and other AI Youth Activists for arranging the fantastic event, along with Tina Marinari and Laura Renzi from AI Italia, Rome, Maria Sole from Portanova12 for giving us the space, Lorenza Ippolito for her ongoing support and for hanging the show with me as well as her impromptu and commendable translations and of course to Antonio Ippolito for the lift! All Images © Francesca Moore. No images may be used, stored or reproduced by any means without permission. All rights reserved.